Earlier this year, New York-based portrait photographer and commercial filmmaker Nicolas LaClair stole away to Central America to shoot a series of videos for Viaventure. Designed to bring this Technicolor, wild, and culturally rich part of the world to life, these teasers showcase the best that Viaventure has to offer. First up? The ancient temples and Maya village of Uaxactún, Guatemala. Located near the famous Tikal in Guatemala’s remote, northern department of El Petén, Uaxactún is an archaeological site and village that has been inhabited by the Maya for centuries. Today, it features partially restored temples and a small indigenous community that’s made up mostly of chicleros (harvesters of natural gum). 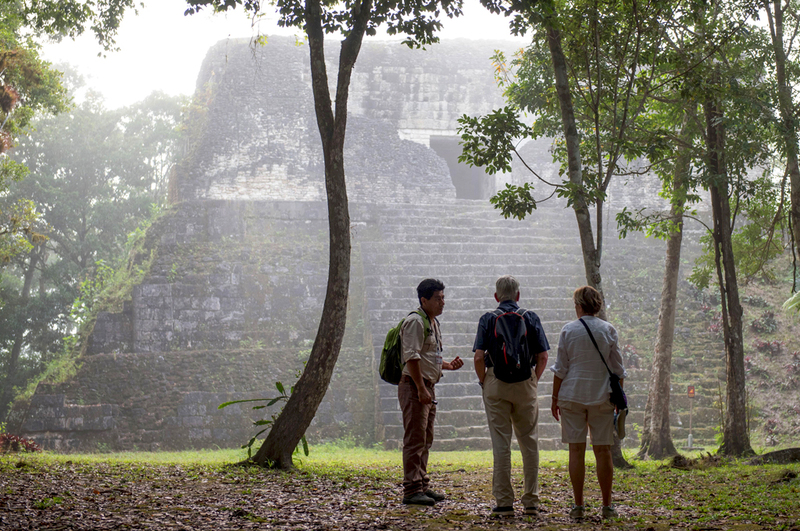 A full-time Viaventure guide, Carlos Vivar grew up playing in the rainforests and around the ruins of Uaxactún and today brings visitors to the village to share a glimpse of what jungle life is like and how the ancient Maya may have lived. Far from being just another tour, this experience includes dinner and “luxury” camping alongside the temples, providing guests a unique opportunity to learn about the archaeological site and local community and to sleep under the stars. It’s a stellar adventure for intrepid travelers (including families) interested in culture, archaeology, and wildlife.